Can you imagine a situation in which the majority of your containers return to you and are ready to be reused? This is how the product retrieval works. Thanks to such a service, you can economise on the costs of pallets and containers and help to protect the natural environment too. What type of pallets do you use? Wooden or plastic? Or maybe you prefer boxes? It doesn't actually matter, as each shipment of your products is automatically registered in our system. Thanks to this, we know when and how many products reached a specific destination. Empty containers and pallets are collected and delivered to Rotom warehouse (2Return) where they are carefully checked in terms of their quality. If it is necessary, pallets and containers are repaired, cleaned and prepared to be delivered to you in just-in-time system. What type of products can we retrieve? The list of the products which can be included in the retrieval service is very long. In large part they are wooden pallets, as they are widely used in logistics. Product retrieval service can also be applied to plastic containers such as: plastic containers, boxes, pallets, as well as metal: boxes and pallets. Do you send your products to other European countries? It is not a problem for us. Since we have 15 warehouses set in 9 European countries, we are able to retrieve your containers from almost any place in Europe. If you order standard products, which are included in “pallet banking” service, we will collect pallets from your abroad client and deliver them to the nearest 2Return warehouse. Moreover, the products will be delivered to you from the nearest 2Return warehouse. 1. Decreasing the costs of buying new pallets and containers. 2. More space in your store (empty containers are stored in 2Return warehouse). 3. Improvement of logistic and storage processes. 4. Unification of product quantity control. How to start packaging recovery? Just fill in the form below – you will receive the copy of it on your e-mail. You can also ask about product retrieval directly from the product page. In both cases, we will contact you as soon as possible. We will analyse your supply chain in cooperation with you and eventually offer the most suitable solution for free. 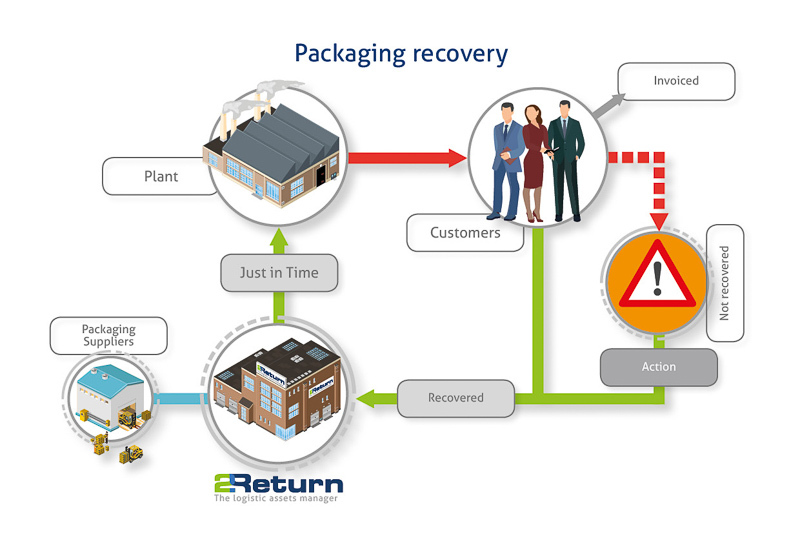 We invite you to visit our special 2Return website which briefly explains the subject of packaging recovery, including reviews written by our clients. You will also have an opportunity to make more specific inquiries.